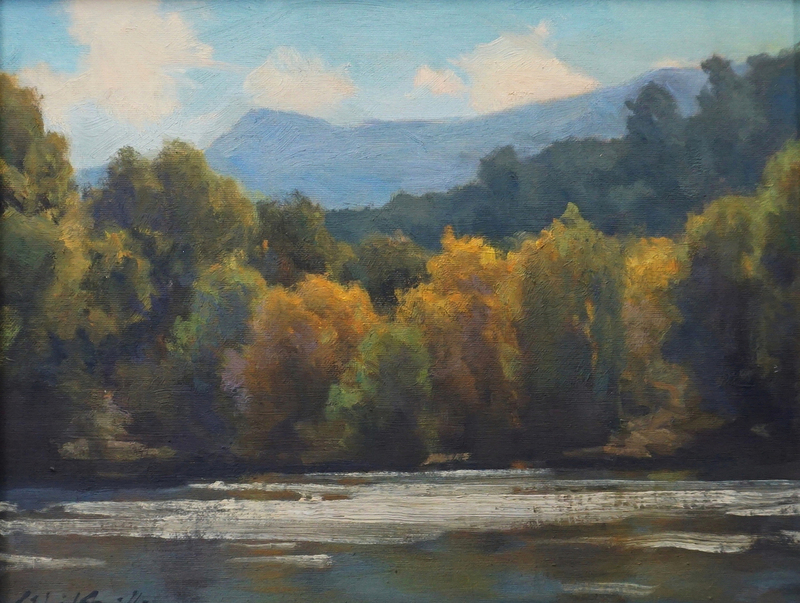 J. Waid Griffin has lived and painted in the Desert Southwest for over twenty-five years. Waid’s paintings have won numerous awards and are collected across the country. Waid holds a BFA in Painting from Texas Tech University and has studied with Mark Daily, Qiang Huang, Robert Kuester, Michael Lynch, and Kevin Macpherson. He also holds a Master of Music in Theory & Compostion from the Texas Tech School of Music. In addition, he teaches at the New Mexico Art League and for Rio Grande Enrichment Studies in Albuquerque. 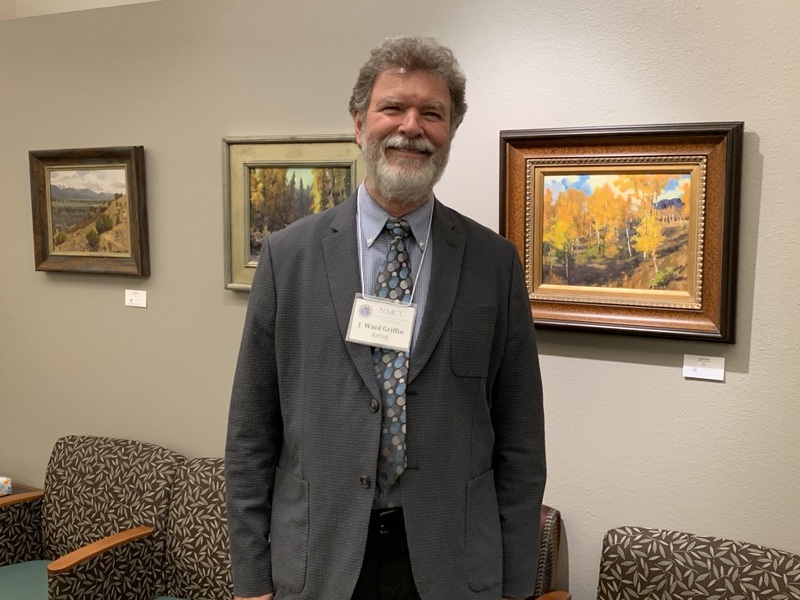 Waid’s paintings are held in numerous public and private collections including permanent collections of McGraw-Hill Publishers, NY; Hines Development Corp., Aspen, Colorado; the Albuquerque International Sunport; State of New Mexico Arts Division. I began my first drawing lessons at age eleven, and oil painting when I was fourteen. I continued private lessons and classes in high school, so my University degree in Drawing and Painting was no surprise. I’ve always experimented with various ways and means of making my living with pen and brush. When I moved to Albuquerque in 1987, I focused on painting landscapes. The environment here is so great for artists! Nature is and has always been my “take off” point. In the early 1990s, my paintings were more reliant on photography, executed in a tighter style. The skill set and subject matter of my work has changed, and continues to do so, especially through the practice of plein air painting! “Growth pains” are called that for a reason. Recently I have concentrated on unifying my paintings with the tools of design and the elements of composition to control the eye of the viewer as it explores the surface and moves into the “space” of the image. I am also returning to the watercolor medium and figurative subjects. Good drawing remains always primary for me, along with reliance on the traditional techniques of the craft of picture making. I view my work as “expressively biographical” in the choice of subjects and the presentation. The concept or “idea” in a work of art is everything. It drives every aspect of the work. Precedence is also very important, and a framework for dialogue and interchange of ideas. All art relies on abstraction, which is not “modernity”. I embrace all approaches to art making, but I identify with “classicism”, though I’m not a conventionalist. My faith in Christ Jesus leads me in these ways of expressing myself through my art and in my world view.